Call of Duty: WWII’s new Ranked Play mode lets anyone play like the pros, as long as you don’t mind being a lone wolf. Ranked Play, which launched on December 1 for PlayStation 4 and Xbox One, follows the esports guidelines used for Call of Duty World League: 4-versus-4 matches in the Search and Destroy, Capture the Flag, and Hardpoint game modes. All of the rule sets and loadout bans used in the pro league apply here, so it really gives you the taste of what real esports play feels like. For example, you can’t equip the rapid fire attachment on your weapons, or use the care package scorestreak. Instead of being just a mix of random objective modes like Infinite Warfare’s sad competitive playlist, Ranked Play sticks you in placement matches to gauge your individual skill level. This is a MatchMaking Rating system similar to what is used in Overwatch, which relies on Skill Rating to properly place players based on their actual skill level. We are currently in Season 1, which is all about placement and testing where you belong within the seven skill tiers: Bronze, Silver, Gold, Platinum, Diamond, Masters, and Pro. Winning will earn you points to move up the tier levels, but losing or quitting matches will deduct points. The placement you receive in Season 1 will carry over into Season 2. There are time penalties for quitters, and exclusive helmet rewards for each tier you reach. And who doesn’t want to be dressed to impress with bragging rights in the Headquarters social space? Personally, I spent much of my time with Black Ops II in its similar League Play mode, and I’m happy to see a strong return for competitive play in Call of Duty: WWII. My only major gripe is the solo requirement. You can’t party up with your friends because Sledgehammer Games wants to test and rank everyone individually for all of Season 1. While I understand the need for testing each individual, I think solo play can backfire and not properly judge a player’s skill level. Yes, playing without your trusted team of friends is more of a challenge and will individually test you, but playing with randoms can also bring you down. It’s difficult and frustrating to play on such a competitive level with three random teammates, who usually jump into Ranked Play without use of a mic. I think many players might receive losses and lower placement simply because of lack of communication. So far, I’ve won all of my Search and Destroy Ranked matches, but I’m struggling to gain wins in the respawn modes with silent randoms running amok. There’s no date for when the placement season will end, but I wish Sledgehammer Games would shorten the length of time that we’re forced to play without our friends—what about just the first 10 matches, and not the entirety of Season 1? 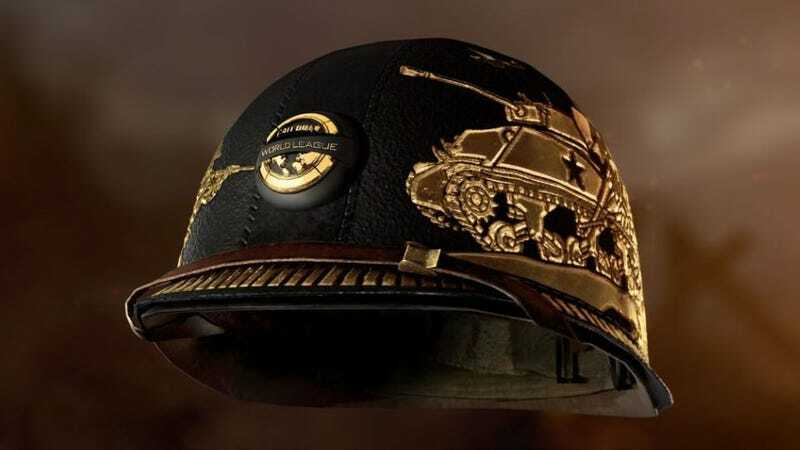 Until then, I’ll be struggling to earn wins in Hardpoint so I can get a fancy Ranked Play helmet for my soldier.